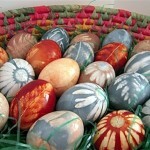 Easter is a very ancient holiday with roots deep into the times. 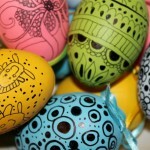 In the days of early Christianity eggs decorated using cereals and very good idea – to make such Easter crafts with kids. The little ones will be happy to use cereals for decoration – it’s easy and fun! Eggs, beans, lentils, peas, rice, millet, black pepper, flour paste, tweezers. To make flour paste take 1 tablespoon of flour (with slide) for a glass of water and stir. Put it on low heat, stirring constantly. After boiling, the mass begins to thicken. You need to give it simmer for 3 minutes, remove from heat, cool. 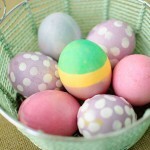 For decorative eggs you can use an ordinary glue. 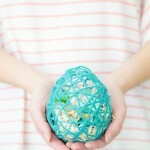 To make it easier to work, prepare a special holder for eggs. Our creative process is as follows: take the egg and stick grains to its surface. 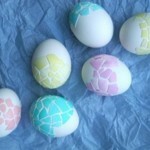 Kids can do funny chaotic patterns, and you can use tweezers to create a balanced decor.